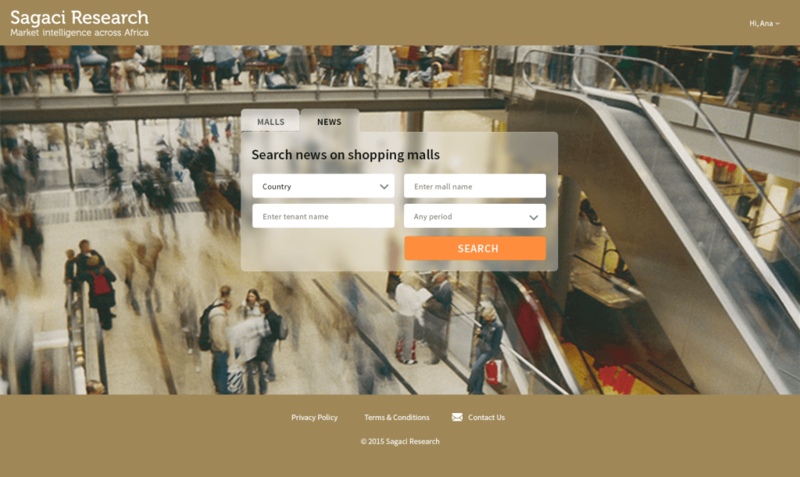 Sagaci Research is international company that focuses on market research in Africa. 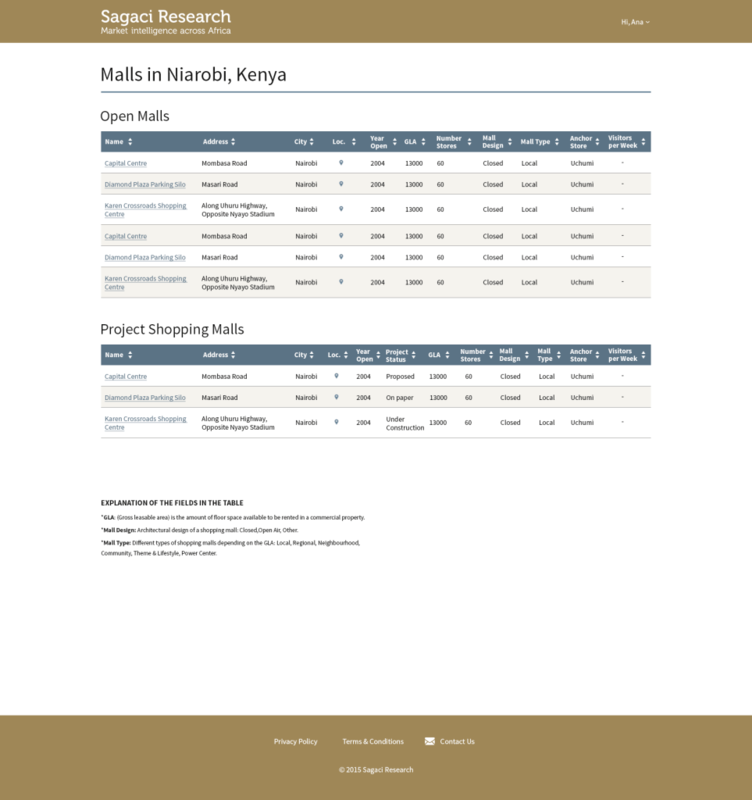 They mostly track retail, consumers, shopping mall, ads, construction projects all across African continent. 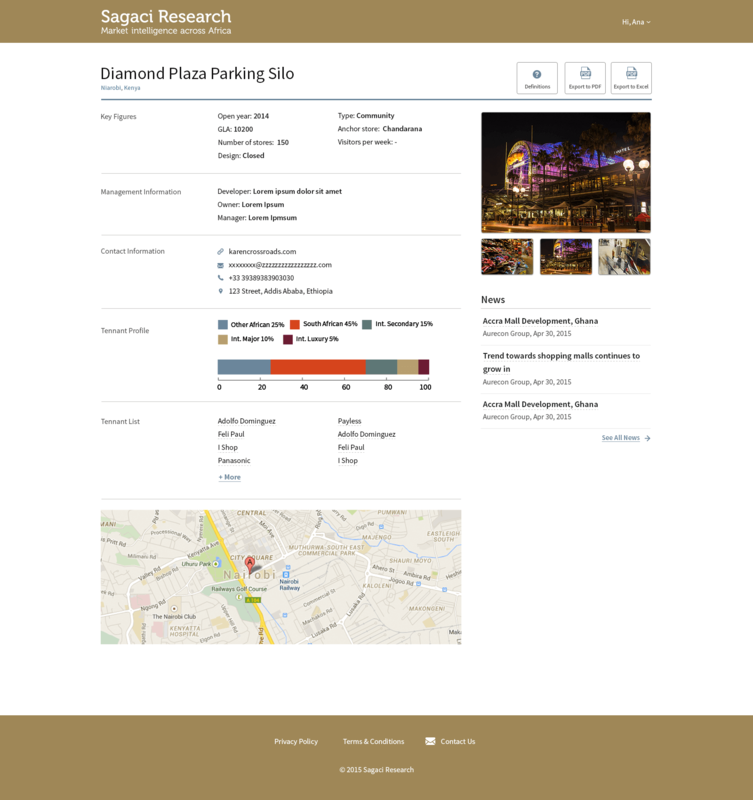 Here are two of their new databases – Shopping malls and Ad tracking database across Africa. They are sister projects (at least regarding design things). UI/UX design and front-end for both databases and also landing pages for both of them. Their wish was to keep with their brand identity and take it to the next level (yes, let’s catch up with time).